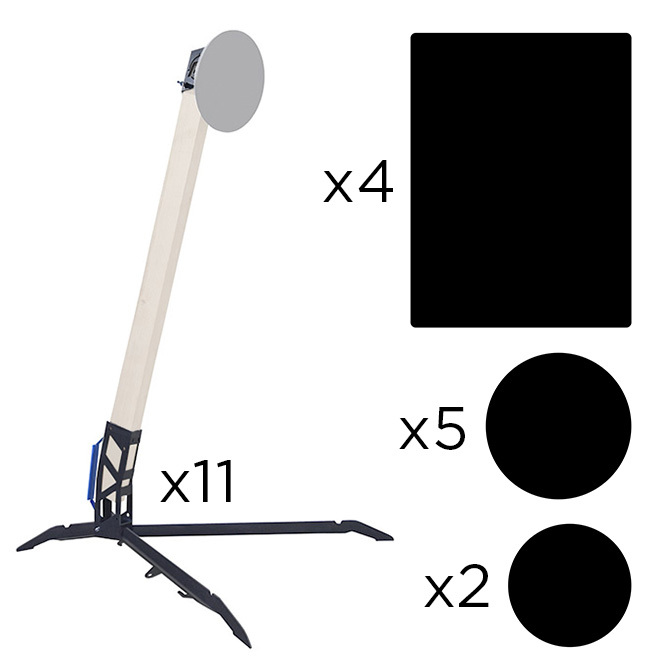 This kit provides all of the steel targets required for setting up each stage for SASP practice or competition individually, and select stages up to two at a time. Just cut the correct lengths of 2x4s for each stage or configuration. No tools are required to assemble and reconfigure targets, leaving more time for training on the range and reducing the amount of gear needed to get you going. 2x4s are not included and should be purchased at your local hardware store.